Superior quality and reliability makes this system unique in the world! 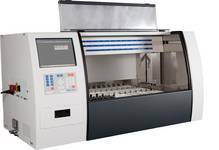 With the MEDITE TCA 44-720 combination unit, full walk-away lab automation from staining to the finished slides is now coming into your reach by merging the combination-ready TST 44 C continuous slide stainer with the new ACS 720 automated glass coverslipper. 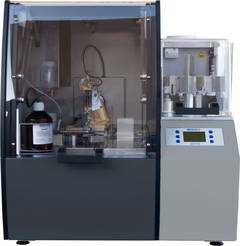 Flexibility and high throughput as well as excellent quality and safety are the key features of this sophisticated Medite® product. Stay one step ahead and benefit from our well-established technology solution that provides valuable time and cost-savings. 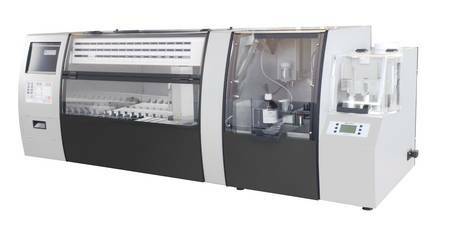 Our high performing continuous slide stainer TST 44 combined with the new ACS 720 automated glass coverslipper brings best efficiency in routine stains. Using a modular design, the TCA 44-720 makes it easy to take the step from manual transfer to automation - even if you are on a budget, taking up only as much space as is absolutely necessary to accomodate the two units side-by-side, not requiring bulky transfer solutions. Building on the merits of the valued TST family of stainers, the combination is augmented by directly attaching our ACS 720 unit, bringing an impressive 500 slides per hour (est.) cover slipping capability. As an added plus, our innovative slide processing technology inside the unit will return the slides inside the original staining basket and in the correct order, making identification of specially stained batches easier than ever. Coverglass loading capacity: 300 pcs. approx. If you are interested in this product and wish to receive further information, please contact us via contact form or send us an email to sales@medite.de. We're glad to advise you.